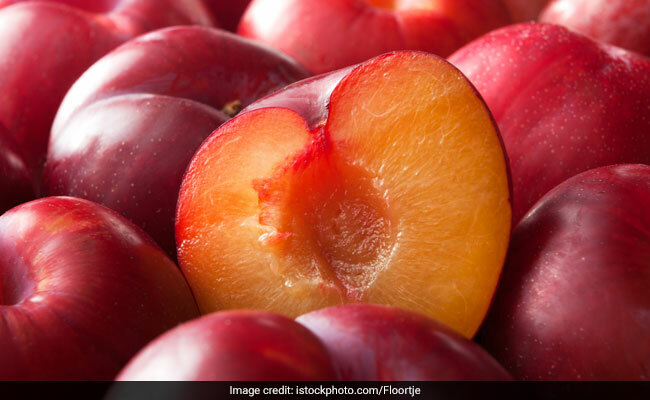 There are a plethora of nutritious and delicious fruits out there that are replete with health-benefiting properties - one such fruit is plum, also known as aloobukhara. There are a plethora of nutritious and delicious fruits out there that are replete with health-benefiting properties - one such fruit is plum, also known as aloobukhara. From white, green, yellow to red, plums are available in a wide variety of sizes and colours. According to the book, 'Healing Foods' by DK Publishing House, "Plums or gages, are members of the rose family and there are more than 2,000 varieties, including the greengage, Mirabelle, and damson. Plums have good antioxidant and detoxifying properties, are a metabolic stimulant, and contain chromium, potassium, selenium, and other minerals, as well as vitamin C and beta-carotene. Dried plums, or prunes, are a traditional treatment for constipation." Having this fruit everyday can do wonders to your body. Plums contain antioxidant in huge amounts that may help prevent age-related macular degeneration, which is a major cause of loss of vision. If you have been suffering from constipation lately, then it's time for you to add this fruit to your daily diet. "Rich in stool-bulking fibres, especially pectin, fructose, and sulfur, which helps food to move effectively through the colon. Together with substances, such as sorbitol and isatin, these fibres are responsible for the fruit's well-known laxative effect," notes the book 'Healing Foods'.